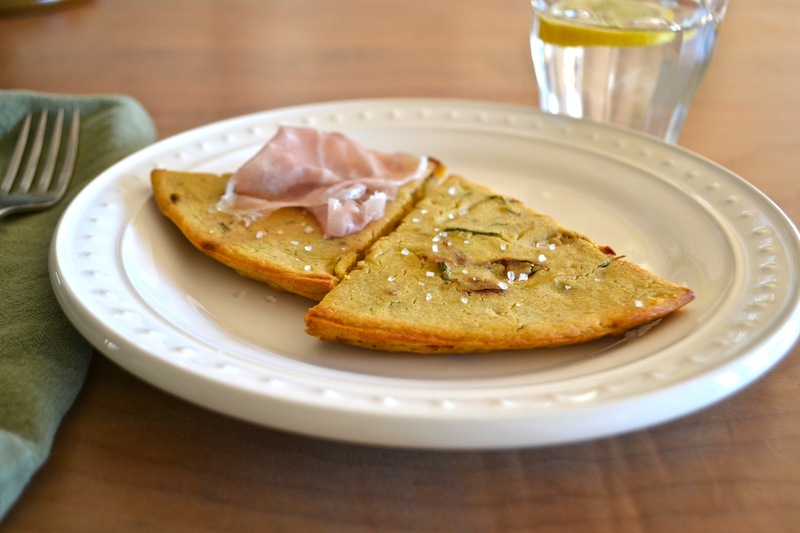 This appetizer- or lunch-style dish is a Northern Italian specialty also known as socca. 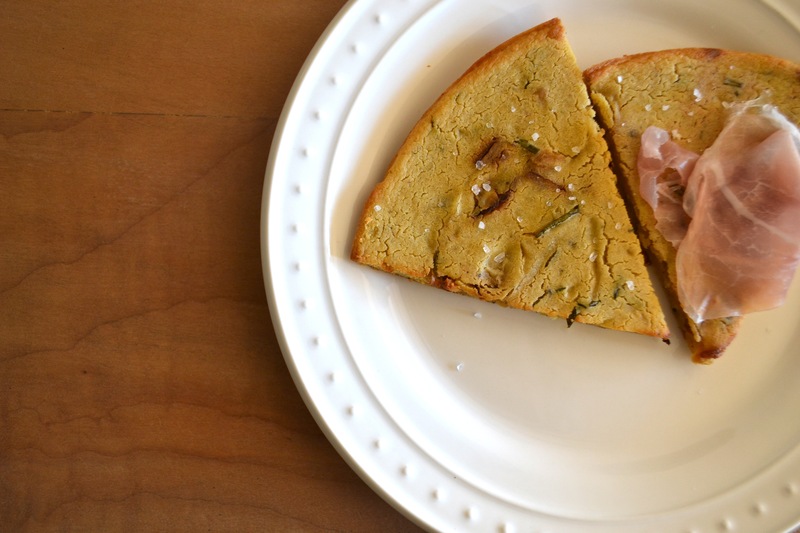 It’s incredibly easy to prepare, gluten-free and high in fiber and protein. I’ve been making farinata for the past couple of years, but could never get the texture quite where I wanted it until now. Serve as a snack, appetizer or paired with a soup or salad for a simple yet surprisingly substantial dinner. You can top the farinata with prosciutto slices, roasted red pepper, or a favorite soft cheese. 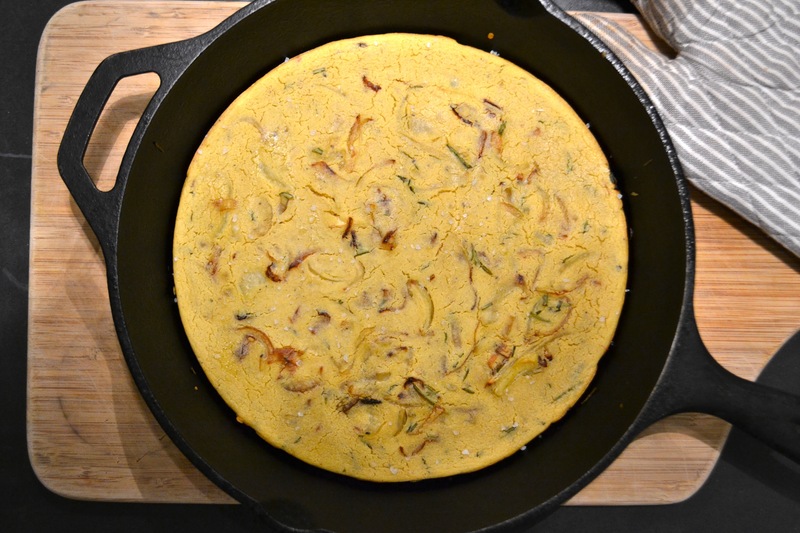 Put a 12-inch cast iron skillet or oven-proof non-stick pan in the oven while it’s heating. Put the chickpea flour in a medium-size bowl. Whisk in the salt and pepper. 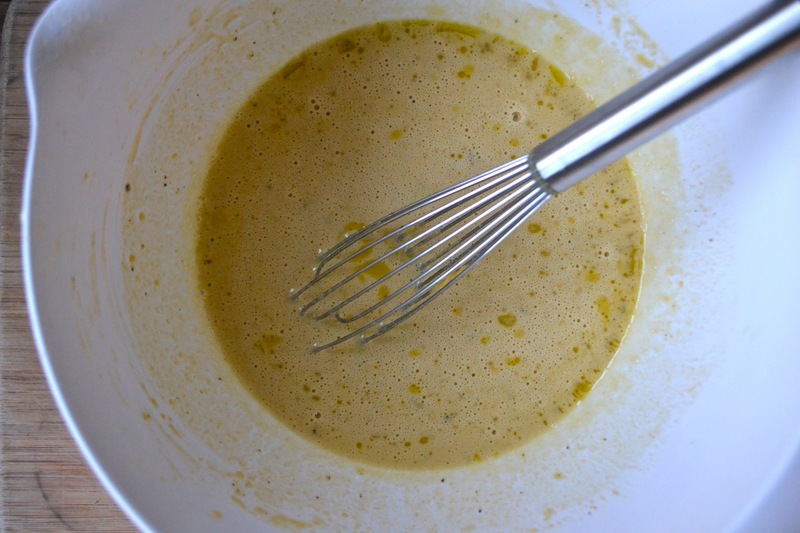 Slowly pour in 1 cup of lukewarm water while whisking, and continue whisking until the batter is very smooth and lump-free. Stir in 2 tbsp olive oil. Cover and let sit until the oven is ready and up to several hours if you want to make it ahead of time. Once the oven is ready, remove the pan. Pour in 2 tbsp olive oil and swirl to coat the entire bottom and up onto the sids a bit. Add the onions and return the pan to the oven. Cook for about 8 minutes, stirring occasionally, until the onions are nicely browned. Stir in the rosemary. Add the onions and rosemary to the batter and stir to incorporate. Pour the batter into the pan and bake in the oven for 10 to 15 minutes or until it’s firm and the edges are set. Cut into wedges and add toppings and a sprinkle of coarse-ground sea salt. Serve warm or at room temperature.